The Rule of Thirds Finder by Parsons & Charlesworth for Areaware is a handy tool for artists and photographers, and all amateurs of art and photography, to determine the tension of the image using the rule of thirds. The "rule of thirds" is used by artists to create stress-loaded picture compositions by placing the main feature of the image outside the centre of the image. The Rule of Thirds Finder by Parsons & Charlesworth for Areaware divides each image into nine equal squares in order to determine or verify the correct visual tension. 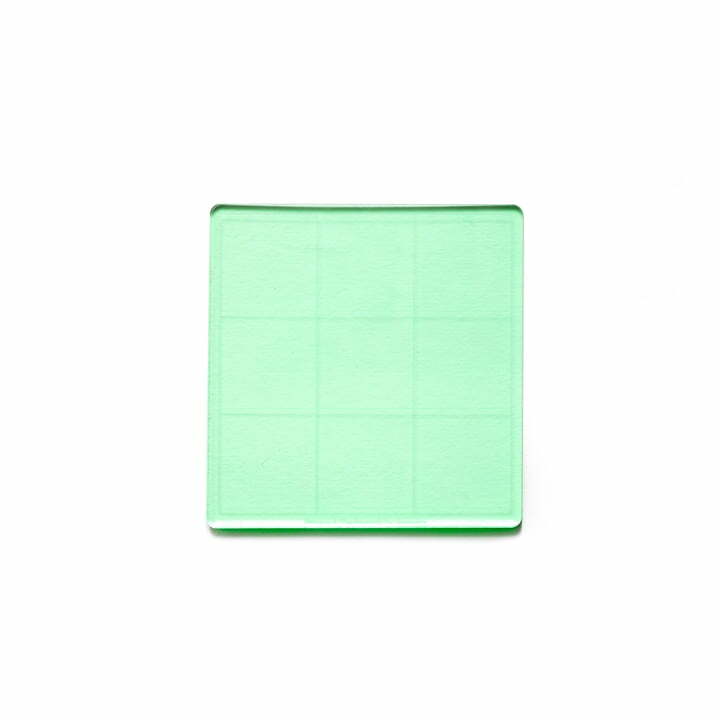 Isolated product image of The Rule of Thirds Finder by Areaware in green. Thanks to this template, the correct visual tension can be determined or verified. The "rule of thirds" is used by artists to create stress-loaded picture compositions by placing the main feature of the image outside the centre of the image. 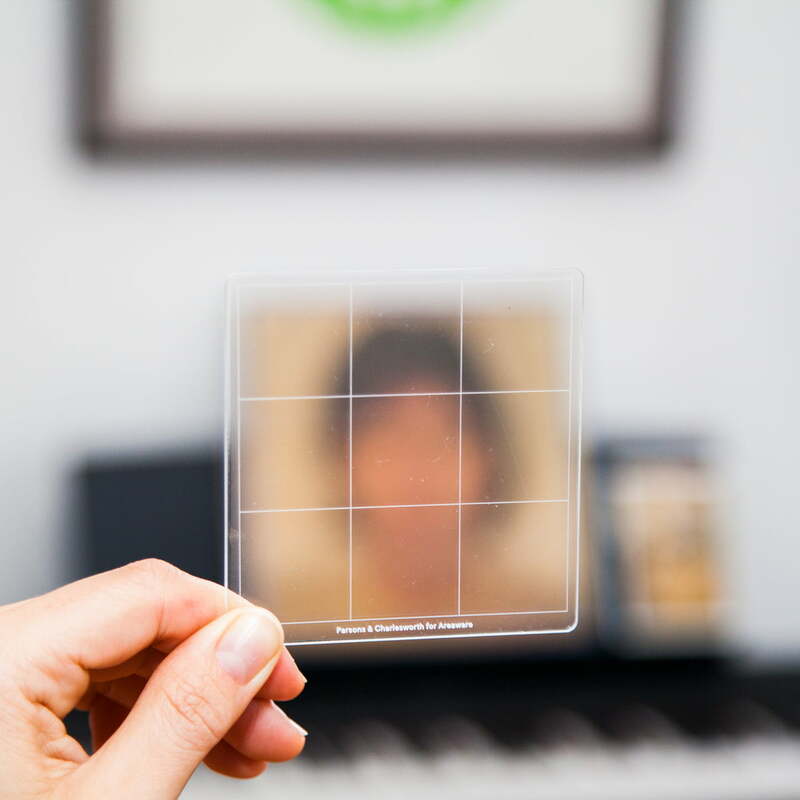 The Rule of Thirds Finder by Parsons & Charlesworth for Areaware is a handy tool for artists and photographers, and all who have art and photography as a hobby, to determine the tension of the image using the rule of thirds. 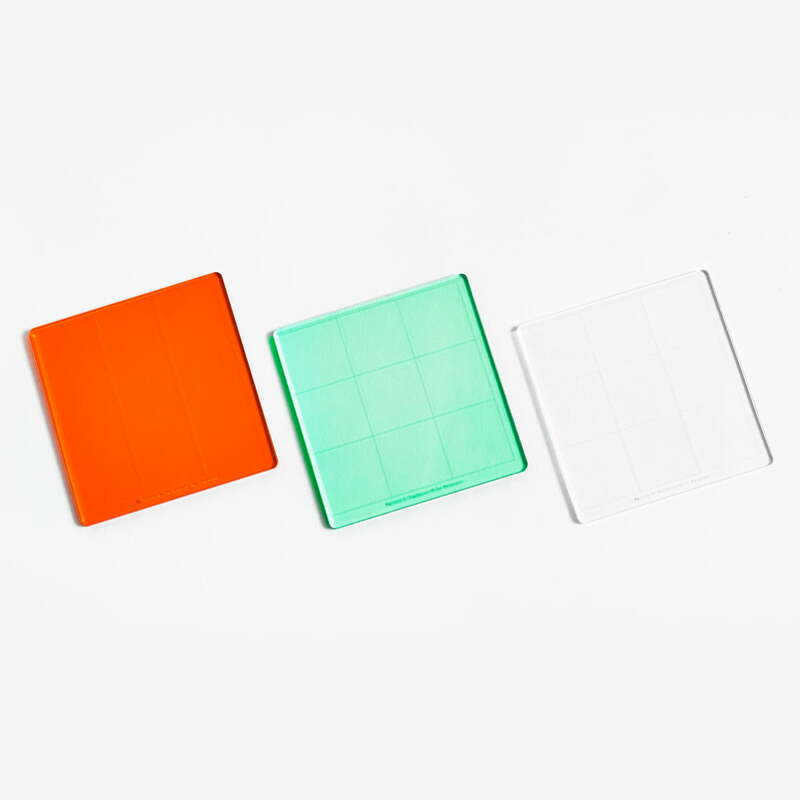 Group product image of the Rule of Thirds Finder by Areaware in orange, clear and green. 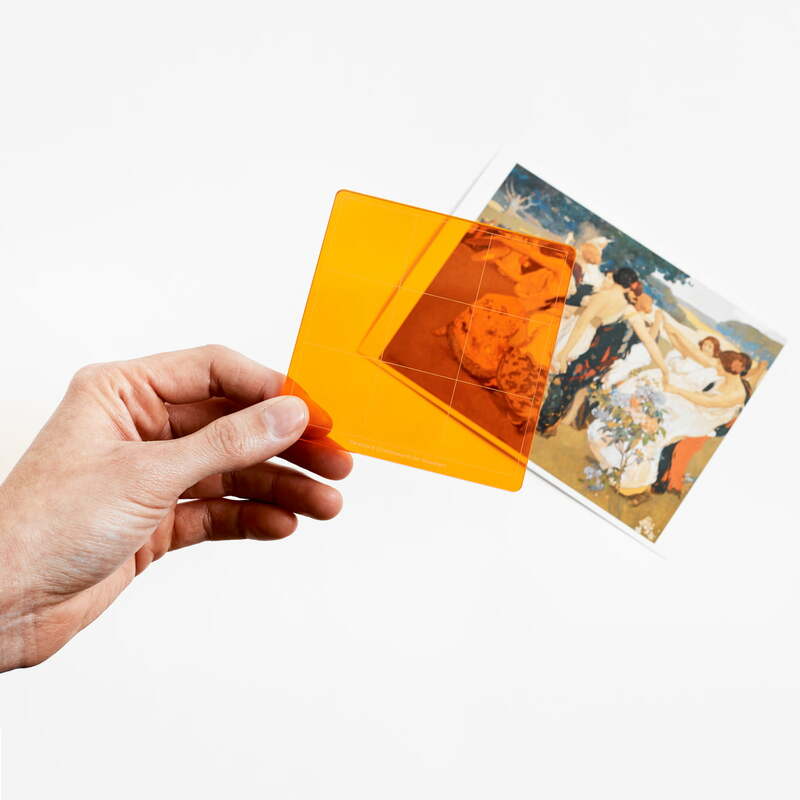 It is made from acrylic glass and is available in various transparent colours. 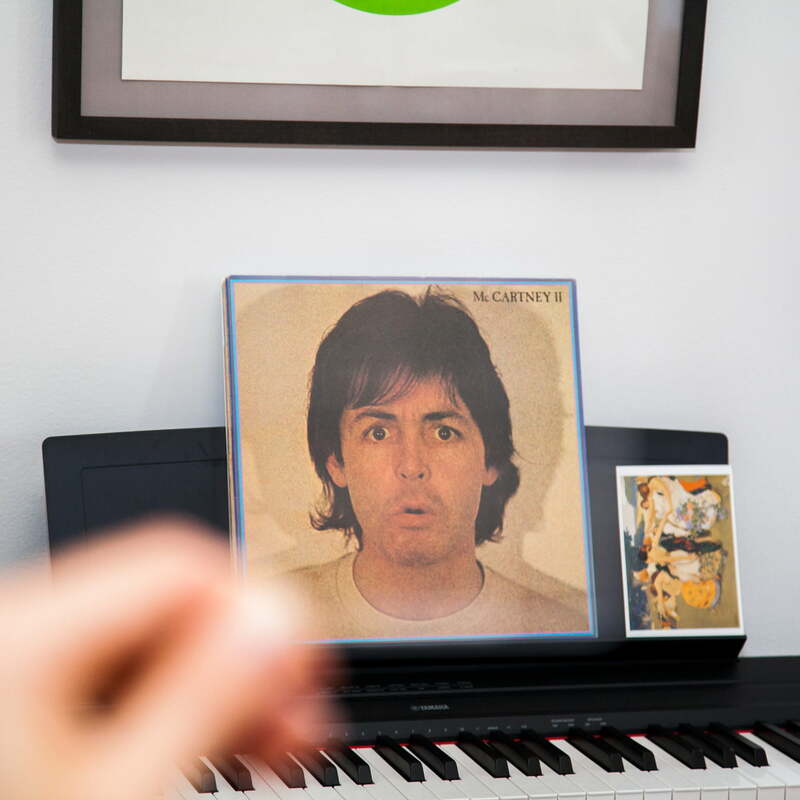 Lifestyle image of the Rule of Thirds Finder by Areaware: The Rule of Thirds Finder by Parsons & Charlesworth for Areaware divides each image into nine equal squares.